Dachs Vader, Hound Solo, and Chewbarka! 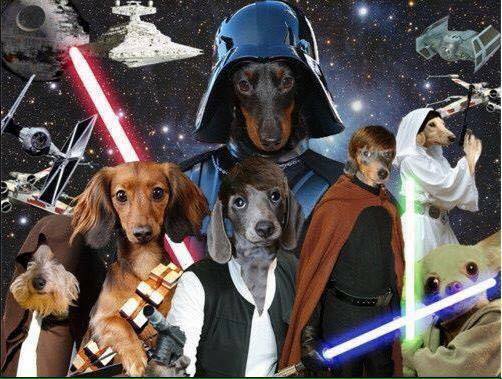 Then there would be Obi-Whine Kenobi, Yodog, Princess Leasha, and, last but not least, Luke Dogwalker. May the Fourth Be With You!